Bianca spoke at Grand Canyon University, in the chapel service, where hundreds of college-aged students filed in and filled up seats. She is unassuming, in her heels and small Puerto Rican frame. It doesn’t hurt that she is pretty. She walked upon the stage and people automatically looked at her, not knowing what passion can lie in such a package. I watched college students squirm in their seats, whispering quietly to one another as she began speaking. They wondered, I imagine, as did I, what she was going to say… and how she was going to say it. Bianca proved to be a kind of dynamo. A locomotive that begins slow and steady but then gains momentum, churns steam, powerful, yet focused–one destination in mind, speaking God’s message of love. What began simply and almost sweetly became powerful and motivational, even inspirational. I found myself wiping tears from my face, for what seemed like no apparent reason, except that she invites the Spirit. 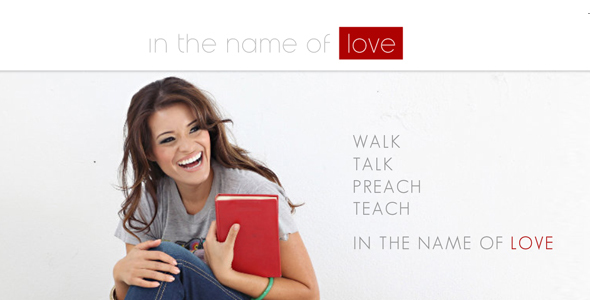 Bianca Juarez is a teacher who somewhere in the midst of her impassioned preaching, takes steps into and under the anointing of the Holy Spirit. It is like listening to a child sing who displays extraordinary talent. There is a mix of wonder and pure pleasure along with the knowledge that they are not just lucky, but gifted–set apart even, to do that one thing. Following her teaching, I had the opportunity to have lunch with Bianca and three other bloggers. My hope was to ask her a few questions regarding women in ministry and where, she, a teacher, sees her role in the church. Where could she speak? Who would invite her to speak? She found that colleges and universities were a welcome environment because no one was concerned with her exerting “authority” over a man. If she wasn’t at a church it was more neutral ground. She went on to express the view, however, that the church and church leadership should “not invite a girl just because she is a girl” to speak or teach. Instead, she desires that the church be promoting and giving focus to anyone who is what she calls “legit,” not just individuals who are seen as “Christian superstars,” so to speak. When asked how she handles people labeling her as such, she responded, “People believe in what I say because I am not trying to sell Jesus.” She commented, however, that many people are, in fact, trying to sell Christianity. She believes the result is mediocre leadership and less impact for the Kingdom. While some want to call her a professional in ministry, she explained, “It is a business, but also a labor of love.” Her ministry allows her to pay some bills (but definitely not all the bills), so in that regard, it is a business, but really it is her calling and heart’s desire. When asked if she thought the church as a whole was doing a good job in embracing women in ministry, she said, “I think those that are doing it , are doing it really well and those that are not, aren’t.” Surprisingly though, as Bianca continued, she expressed great frustration, not at the way the church embraces (or fails to embrace) women in ministry, but how the church is, according to her, “culturally 10 years behind”. “Do I think the church will ever be on the forefront of culture?” she asked. “My hope is yes, but the truth is we [the church] will always be a minority.” Bianca sees the cultural gap within the church as a major obstacle in bringing unity to the body and reaching those outside the church. Through our conversation, I saw a woman who is not hung up on that fact that she is teacher who happens to be female. Instead, she sees herself as a woman blessed by “the doors the Lord has opened.” She has been faithful to walk through those doors without knowing what the future holds. Her heart longs to see unity within the body, not just across gender lines, but across socioeconomic and cultural lines, as well. Bianca was married just a few months ago to the love of her life, Matt. When asked what she sees her teaching ministry looking like in 5 years, she answers humbly and honestly: “Matt and Bianca, doing In the Name of Love… doing what… I don’t know.” She explained how, more than anything though, she wants to protect her marriage at whatever cost, ministry or no ministry. Bianca may not know all that the Lord has in store for her and her ministry, but seeing her upon that stage at Grand Canyon University, any doubts people may hold about her calling are instantly washed away. She admittedly doesn’t want to be compared to other well-known female teachers, and she won’t be–she is who God made her to be, doing the work God has called her to do. Bianca Juarez is a voice of the Lord, intent on sharing Christ’s love through her personal story and through the power of the Word. She seamlessly blends humor (lots of it) with pain, and humility with authority. I watched college students in their seats shift from slightly uncertain about the young woman in heels standing before them, to motivated and encouraged to believe God. She told the students that afternoon that “God is present. God does care. God is good.” Her life and ministry are proof. Bianca thanks again for allowing me to meet with you and ask some of my burning questions. Blessings to you, your new marriage, and your ministry. I am so looking forward to watching God continue to use you. And, let me just say…You rock! donna shelton. bianca juarez. christine caine. lynette lewis. crystal renaud. joni-erickson-tada. joyce meyer. i’ve had this dream of wanting to grow and learn and be given more opportunities to speak [especially to single parents] for YEARS now. i lead smallgroups and i teach smaller membership classes (with the lesson plan given to me) but it seems like that’s the only role that i can have or that will ever be given to most of the women in my church. trust me when i say this coz i’ve been part of my church for 7.5years now. the pastor’s wife only speaks once a year (mothers day or our women’s conference). don’t get me wrong, im not bashing on my church. i love my spiritual family & i’ve been a part of it for 7.5yrs but i know FOR SURE that it wont be my pastor honing this gift in me. im assuming that your father saw the gift of God in you and helped launched that. what tips would you give to this single mama in regards to teaching/speaking to help make my dream come true? I wish I had some killer story of when things happened, but I don’t. I started serving in youth ministry, college ministry, women’s ministry, then doors began to open. I didn’t take any courses or have any training. In fact, my church is very conservative, so up until recently most of the invites were outside of my church. The best advice I can give is to be faithful doing what you’re doing. But [this is for both of us] stop looking at the future and see what God is currently doing; here; now; this very second. THIS is when God can be heard. love your advice. as a homeschooling mama, i know the “now” is to teach my son and be faithful teaching my smallgroup. I just want to echo what Bianca said, in that, God may be speaking to you right now about where and what He wants you to do. Also though, ask Him if He desires for you to step out of your church in order to speak. I don’t mean leave your church body but rather look for other opportunities outside of it to serve. Women all over our cities, single moms just like you, are hungry and thirsty. There may be a need you can meet beyond where you are currently looking. I will pray Patricia that God open doors for you and meets your needs as well as your hearts desire. Thanks so much for sharing your heart and commenting here. interesting thought. thanks for your prayer! now following your blog. can’t wait to get to know you better! Thanks Patricia! I too am looking forward t getting to know you more. Blessing! bianca juarez and nicole braddock bromley. both are transparent, young, real and inspiring to other girls like me. nicole bromleys chapel message at my school and her book, hush, changed my life. Dannica, you are so right, women sharing with younger women should be transparent. Both Bianca and Nicole are candid and painfully honest, about their own pasts and their own hurts. Their speaking releases freedom and I love that! I am so blessed to know that Hush and hearing Nicole speak was so impactful for you. I pray it brought freedom to your life. Thanks for sharing. First, I love Bianca! Her teachings are responsible for a great deal in my personal walk with Jesus. You did a great job describing her when she talks and before you know it you are asking yourself some really tough questions. Lilian, thanks for the comment. I am so blessed to know that Bianca has had such an impact on your relationship with Christ! Yeah, she does stir up questions and that is one great thing about her! I love you, too :) Lil, you’re the bestest. See you at church later! Hi Anji, thanks so much for following! I do, and you can find it at: http://feeds.feedburner.com/modernreject. I’m working on fixing a few RSS things, but hopefully that does the trick for now. Thanks! Just want to echo how ministered I am by Bianca. She is a voice in the wilderness and how awesome to be wholly used by Him. Can’t wait to see how God continues to open doors (er, the floodgates!) for her ministry. Just want to echo how ministered I am by Bianca. She is a voice in the wilderness and how awesome to be wholly used by Him. Can’t wait to see how God continues to open doors (er, the floodgates!) for her ministry. I haven’t had the opportunity to see her in person, but hope to see her speak this Saturday night! Hi Melissa, Thanks for sharing your thoughts on Bianca and her ministry.I hope you are as blessed as I was by hearing her speak. If you think of it, check back and tell me what you thought! Thanks too for adding MR to your reads! I look forward to seeing more of you around these parts as well. Blessings.